What started as Polo Nuts and Candy, Etc. 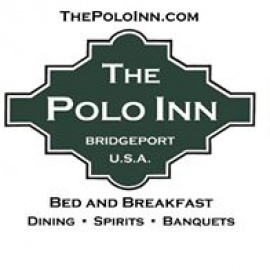 in 1985, evolved into Polo Cafe and Catering Bridgeport U.S.A. which will mark its 25th Anniversary on Valentine's Day, 2015 in buildings build in 1914, and includes a tin ceiling/maple floor 50-seat dining room, plus an attached elegant Old Eagle Room which accommodates up to 100 guests in what was once a neighborhood picture show called, "The Eagle." 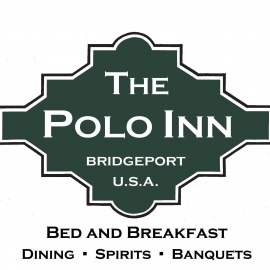 And, in 2008, the Bridgeport Bed and Breakfast was established above the legendary Polo Cafe where guests eat cook-to-order breakfasts during their stay. Complimentary lighted parking completes this unique Chicago gem whose motto is "Something different . . . something wonderful!" through their commitment to excellence in real Chicago hospitality. American spot attached to a B&B offering Angus steaks, a full bar & Sunday gospel brunch since 1985.